You are invited to our conference and AGM, which this year will take place at the Therapy Garden, in Normandy, Surrey on Saturday 8th September. The Therapy Garden is a horticulture and education charity that uses gardening to generate positive change. It works with adults and teenagers with learning difficulties, physical disabilities and mental health challenges and offers school-age teenagers interventional education opportunities. 10:00am Introduction from The Therapy Garden representative to explain the venue and its operation. 10.15am – 12.00pm Anna Rósa Robertsdottir, Introduction followed by Medicinal plants in Iceland. 12.00pm – 1.30pm Lunch, socialising and time to visit the garden grounds. 1.30pm – 3.00pm Anna Rósa Robertsdottir;‘How I became a Facebook Herbalist’ and additional information on how to set up Instagram and work with it. 3.00pm – 3.30pm Coffee Break. 3.30pm – 5.00pm Annual General Meeting. Lunch will be provided for at the centre. It will be gluten-free vegetarian sandwiches, soup and salad. Please notify Alicia if you are coming and of any special dietary requirements. Cost of lunch: £5.00, pay on the day. For booking and enquiries, please contact Alicia Sawaya by email at (aliciasawaya.uk@gmail.com), Telephone: 01932-344604. Click Here to go to her website. Anna Rósa will be presenting the history of Icelandic plants and their use in traditional herbal medicine. She will also be sharing information on a select number of Icelandic Medicinal Plants, among them being Angelica, Rhodiola, Crowberry and Bilberry. Emphasis will be on their historical and modern medicinal use in Iceland. Anna Rósa will also briefly go through the history of herbal medicine in Iceland, and the restrictions herbalists face working there. Anna Rósa has become amazingly successful in Iceland, using Facebook as her primary outreach tool. She has over 25,000 fans of her Facebook business page, which makes her one of the largest companies on Facebook in Iceland. Her company sells in over 50 retail shops in Iceland, which is a one woman show. So how did she do this? By being very active on Facebook, she has managed to change the landscape of herbal medicine in Iceland. Due to her educational resources, hundreds of people are now actively using herbs. She also runs a successful herbal products business. Anna Rósa will share her experience and ‘know how’ for using Facebook as an effective educational and marketing tool in the hopes of inspiring others on their way to success. She will be talking about practical things like should you spend money on advertising on Facebook, how to increase your likes, are photos important, how long should your posts be, should you make videos etc. 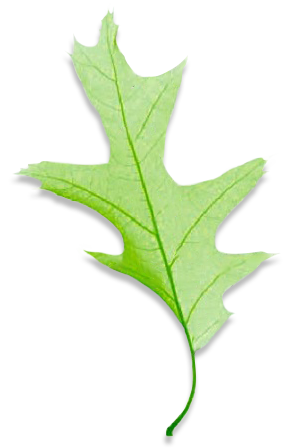 The members of the Association of Master Herbalists, (AMH), practice a form of Natural Healing which includes Herbal Medicine and a blend of Naturopathic techniques such as detoxification, nutrition, hydrotherapy, fasting and other ways to assist the patient back to health. There are sections on the site about the history of the Association of Master Herbalists, about its forefathers and preceptors – Dr Christopher and Dr Schulze, and about how this natural healing process has evolved and is practiced in the UK today. You can find out about the different diagnostic tools and methods used by a Master Herbalist to facilitate the healing of their patients. You can access information about the current members of the Association’s Council. You can Contact Us whenever you want to. This website has been created to allow you to find qualified herbalists , and to help you get a good understanding of herbal medicine and its unique contribution to healing and good health in general. Christopher Hobbs gave this 2 part lecture in Manchester at our 2015 AGM.